Need a Quick Insurance or Finance Quote? All quotes are supplied to you free and without any obligation to proceed. We respect your privacy. Get a free online loan eligibility assessment without accessing your credit file. Compare Australia's best income protection and life insurance quotes from multiple insurers. Pay out your debts with a single debt consolidation loan, regardless of your credit history. Save on your business insurance, public liability or professional indemnity insurance premiums. Compare home loans, personal loans car loans, boat loans, truck loans and business loans. 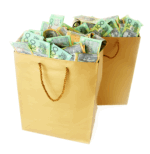 Access superannuation information and advice from leading Australian superannuation specialists. We help you compare insurance quotes from a big selection of leading Australian insurance companies and intermediaries. We invite you to subscribe to MoneyTips. Free loan eligibility assessments, fast finance approvals and best rates from a huge range of Aussie bank and non-bank lenders ... whatever your circumstances. Find a wealth of tools and information for managing your financial affairs. Access the latest share market info, trading tools and advice to help you get started or to improve your investment performance.